2019 is certainly flying by, isn’t it? The first quarter of the year is done, and Spring is occurring in many locales. What form of growth are you looking forward to in the second quarter? How about making adding some new life into your relationships at work? 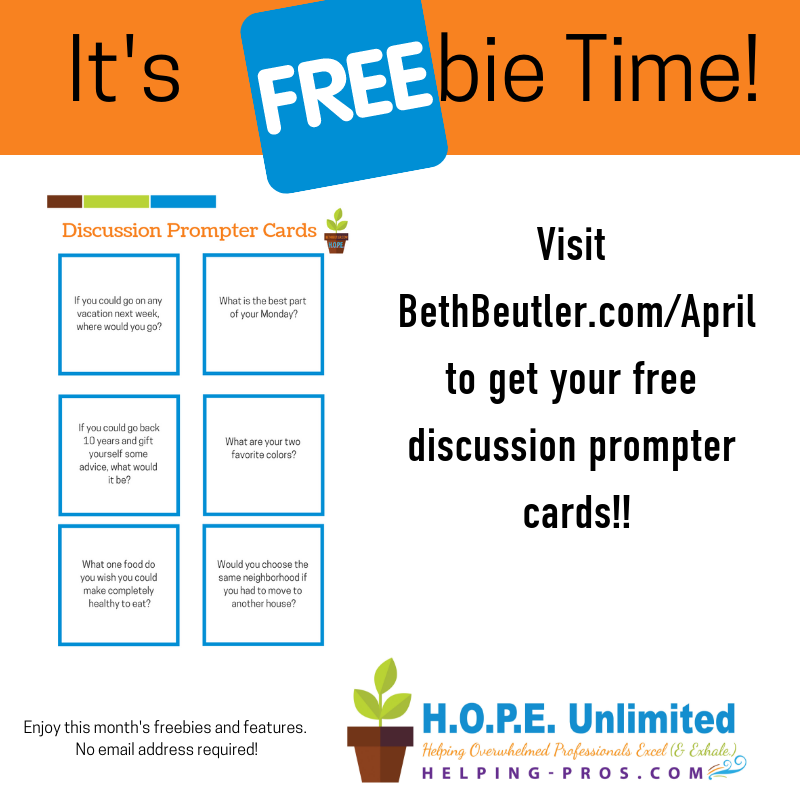 This month’s freebie is a downloadable set of discussion cards. Print and cut and use them as icebreakers for staff meetings or group lunches. The questions are light and fun and can help co-workers get to know each other a little better. (Of course, you can use them for other social groups too!) I used them at a dinner gathering with a group of women and we enjoyed opening up a bit about ourselves! Click here for the April Freebies, Features and Fun page. If you missed any past freebies, click here. Happy spring and blessed Easter as well!